The fungus behind white-nose syndrome, a disease that has ravaged bat populations in North America, may have an Achilles' heel: UV light. White-nose syndrome has spread steadily for the past decade and is caused by the fungus Pseudogymnoascus destructans, known as P. destructans or Pd. In a study published on Jan. 2 in the journal Nature Communications titled "Extreme sensitivity to ultra-violet light in the fungal pathogen causing white-nose syndrome of bats," the research team suggests that P. destructans is likely a true fungal pathogen of bats that evolved alongside bat species in Europe and Asia for millions of years, allowing Eurasian bats to develop defenses against it. In the course of comparing P. destructans to six closely related non-pathogenic fungi, researchers discovered that P. destructans is unable to repair DNA damage caused by UV light, which could lead to novel treatments for the disease. "This research has tremendous implications for bats and people," said Tony Ferguson, Director of the Forest Service's Northern Research Station and the Forest Products Laboratory. 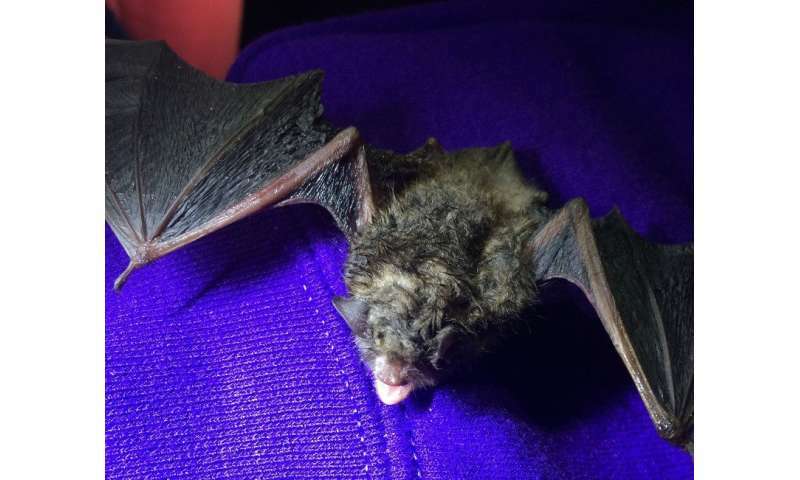 "Bats play a key role in the health of forests as well as the production of food in the United States, and developing an array of tools with which we can treat bats for white-nose syndrome is important to preserving these very important species." "It is unusual that P. destructans appears to be unable to repair damage caused by UV-light," said Jon Palmer, a research botanist in the Northern Research Station's lab in Madison, Wis., and the lead author of the study. "Most organisms that have been found in the absence of light maintain the ability to repair DNA caused by UV light radiation. We are very hopeful that the fungus' extreme vulnerability to UV light can be exploited to manage the disease and save bats." A new item just popped near the top of the "worlds dirtiest jobs" list. Right alongside "bat guano engineer".